When it comes to hyphens, prose is often in a state of disequilibrium: Sometimes there are too many, and sometimes there are too few, but careful writers learn when the number of hyphens is just right. These sentences demonstrate a surfeit of hyphenation. The hyphens in the phrase “five-to-nine” may appear courtesy of a misunderstanding — perhaps the writer’s confused memory of the purpose of a dash in a number range. The sentence should read, “Snacking can help you keep up with the recommended five to nine daily fruit and vegetable servings.” (Hyphens are valid only when the number range modifies a noun, as in “a five-to-nine-serving diet” or “a nine-to-five job”). 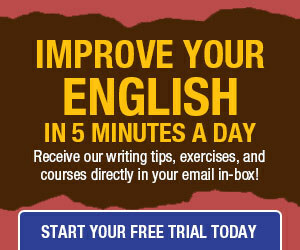 Is “a training” really acceptable English usage? To me it sounds like translatorese (the French refer to “une formation” for a training course or session), but seeing it here makes me wonder if it is perhaps US usage too? In the sample sentence (“Snacking can help you keep up with the recommended five-to-nine daily fruit and vegetable servings.”), doesn’t “five-to-nine” modify “servings,” which is a plural noun? I would submit that “five-to-nine” SHOULD be hyphenated for that reason. Furthermore, the whole sentence seems a little awkward. What about revising it to read, ““Snacking can help you keep up with the recommended daily servings of five-to-nine fruits and vegetables.” In this case, “five-to-nine” would still be hyphenated, because it modifies the two nouns, “fruits and vegetables.” Am I correct on this? I’d love to get your feedback! I read this site daily and love it. Thanks. The error has been corrected. Thanks! Training is often used as a noun, but I would transform it into an adjective followed by session or another appropriate term (and I should have done so). To Mark: The use of “training” as a noun is largely a BRITISH thing, and not an American one. Also, the British widely use “train” or “training” when they ought to state “education”. Americans, Canadians, and South Africans definitely do. In American and Canadian English, there is a clear distinction – a heirarchy – between training and education. Education is clearly on a higher level: one engages in education to become an engineer, a doctor, a dentist, a lawyer, an accountant, a professional manager, an architect, a schoolteacher, a scientific farmer, a chemist, a physicist, a biologist, a veterinarian, a psychologist, etc. “Training” is merely for animals, bricklayers, carpenters, factory workers, highway construction workers, plumbers, sailors, soldiers, shipbuilders, steelworkers, technicians, truckdrivers, warehousemen, etc. This is not putting anyone down – this is just the distinction between a professional education and training as a skilled worker. These sound positively pecular: “Ike was trained as an industrial engineer” and “Alice was trained as an architect”. NO, those are fields where one studies for an education at a university or an institute of technology: e.g. the Royal Institute of Techology in Melbourne, Australia, or the Georgia Institute of Technology in Atlanta, Georgia. One of the primary subdivisions of the U.S. Air Force (and some other air forces) is the Air Training Command. That’s not looking down on anyone because the A.T.C. trains pilots, navigators, air traffic controllers, Air Policemen, missilemen, nurses, physician’s assistants, dental assistants, electronics technicians, and more different kinds of technicians than can easily be listed. The major navies and marine corps of the world have similar training commands. I disagree with the author, and I say that “widely-publicized” is absolutely correct. 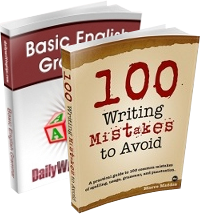 In general, the adverb “widely” is “widely-hyphenated” onto many words. “Widely” might be an exception to the rule, but so is the adverb “well”. widely-scorned, widely-praised, widely-planted, widely-grown, widely-held (a widely-held stock), widely-traded, widely-sold, widely-made, widely-manufactured, widely-printed, widely-translated, widely-used. Corn** is a widely-planted crop on several continents. **By this I mean what the British and some others call “Indian corn” or “maize”. It is “corn” in North America and it is widely-eaten here, and it is widely-brewed into whiskey, too. well-bred, well-earned, well-fed, well-grown, well-known, well-led, well-made, well-prepared, well-raised, well-said, well-spoken, well-taken, well-taught, well-thought-out, well-used, well-worn. The word “well” can also be replaced by “poorly”. Hence, you cannot argue that “well” is an adjective because “poorly” is definitely an adverb here. Mr. Nichol, I have had people argue with me that nouns can be used as adjectives. 1. Transform the noun into an adjective. 2. Use the adjective as an adjective. This is true even when Step One is a trivial one. For many people, this did not make sense. We might also argue that since “training” is a present participle, it can be used as either a verb, an adjective, or a noun – from the very beginning, so no transformations are necessary. I also think that everyone should study linear transformations. I studied those in high school and in college, and nonlinear transformations in college. Training as an *uncountable* noun is fine by me in British English, what surprised me was the usage as a *countable* noun. Let me rephrase my question – is using “a training” meaning “a training session/course” acceptable use anywhere? To me it is definitely not OK in British English, though commonly seen in non-native use. “Five to nine” is not a phrasal adjectival — it doesn’t modify “servings,” answering the question “what kind of servings?”; it merely specifies the number of servings.